The history of the “Blue of Genoa” starts from afar. It starts from the ancient port of Genoa and from that sturdy fabric, of a very dark blue, sold to cover the goods in the ports and to pack the sacks that contained the sails of the ships. A fabric that became strategic for sewing wear-resistant trousers and overalls for the most strenuous and humble activities: gold diggers in the Far West and trans-American railway workers, miners, cowboys. From the London and American docks the blue of Genoa, then moves to the fashion atelier … and in 1937 appears on the pages of Vogue, entering the history of fashion and wardrobes around the world: Blue Jeans is consecrated to the world. Idols of cinema and rock and roll begin to wear them; James Dean and Marlon Brando use them as a way of seduction; Elvis Presley and Bob Dylan crumple them during their concerts. And Marilyn Monroe makes them immortal. Today jeans, in denim, are universally worn in the most disparate styles and models, and very popular in their vintage versions; the more they look worn and used, the more they have charm. And if until some time ago discoloration and abrasion were obtained with manual procedures that are long, tiring and impacting on human health and the environment, today the size of the market, which exceeds 2 billion pieces per year, has stimulated the study and the application of new technologies to the denim sector. The use of laser systems has revolutionized the market, making the production more homogeneous and fast. But above all environmentally friendly, eliminating the use of acids and chemicals. 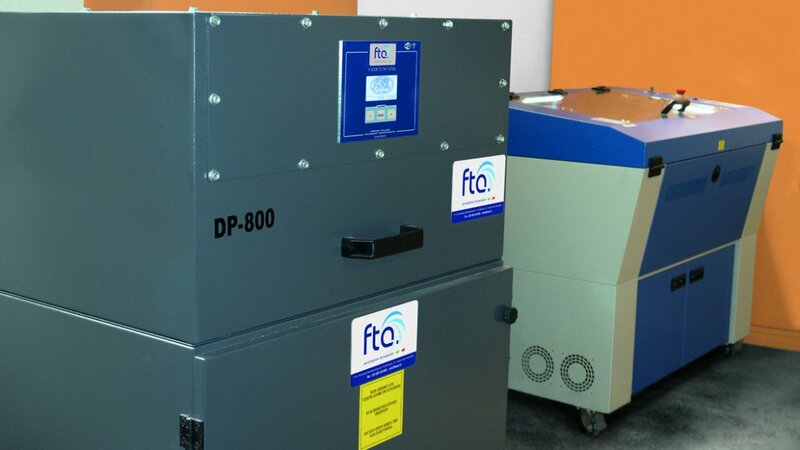 And here comes FTA, because where there is respect for the environment (and regulations) there is FTA, to ensure, with its filter units, that the air is always purified by pollutants, dust and odors ; even those that develop from the burning of tissues and the removal of pigments. 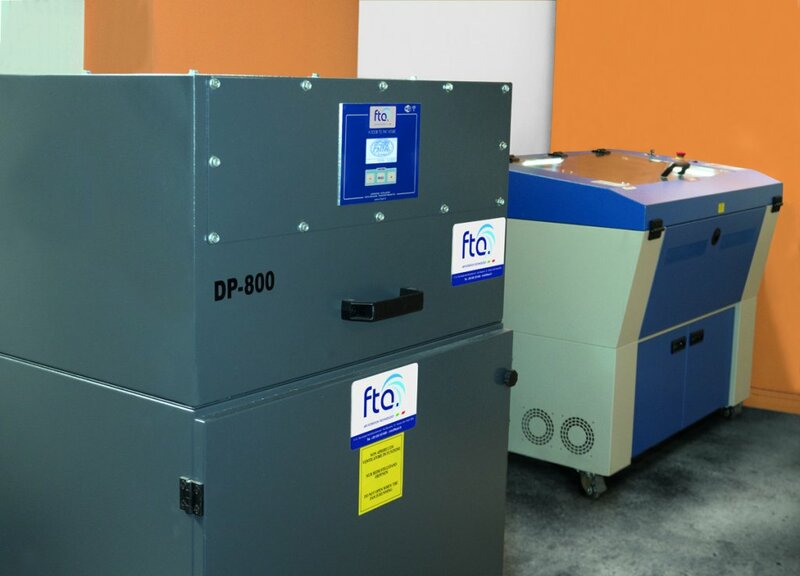 Suction arms and desks, cartridge and sleeve filters, fans, purifiers, fume extraction and extraction systems to ensure safe and clean environments. The DP800 FTA purifier, for example, is installed on the “Textile Line”, the new range of digital and eco-sustainable lasers developed by Sei Laser for the processing and finishing of technical fabrics. 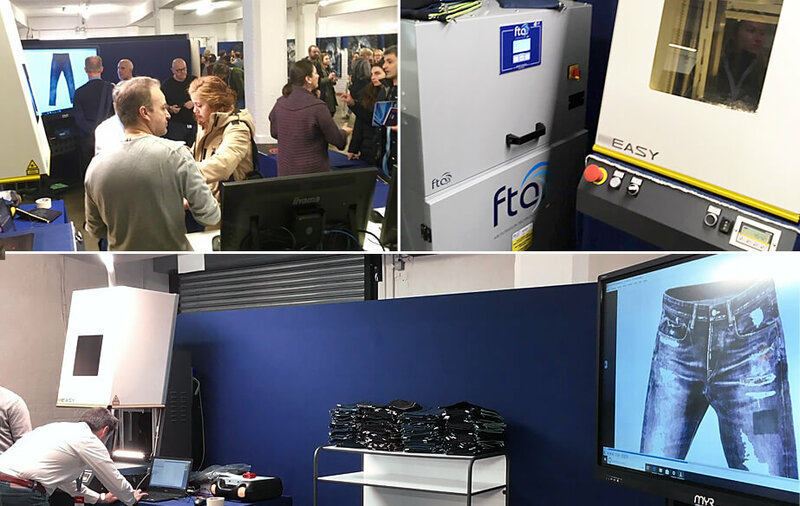 FTA and Sei Laser were present at “Denim Première Vision”, the leading denim salon, just concluded in London (5 and 6 December) and which involved eighty-nine exhibitors from 18 countries around the world, including 45 weavers, 22 manufacturing companies, 14 accessories manufacturers, 5 technology programmers for the garment industry. In a rapidly expanding sector whose turnover in 2017 was, according to current estimates, 56 billion dollars. Over 200 companies throughout Italy, in many fields, have embraced the FTA corporate project recognizing it as an ideal partner for competence, attention and efficiency in quickly solving every problem with customized solutions. Because the strengths of FTA are professionalism and reliability that are expressed through the design and development of tailor-made solutions. But why did I mention Bing Crosby, and the most famous “Merry Christmas” in the world, in an article about denim and jeans? Surely because it is almost Christmas but also because … Bing Crosby is the only one to have owned a tuxedo made of jeans, by Levi’s Strauss and Co. This, however, deserves a separate story. Siamo un’agenzia nata negli anni 50’ con una lunga esperienza nel mondo della comunicazione e con l’intento di guardare sempre oltre fino ad approdare, all’inizio degli anni 80’, nel mondo dell’informatica e sviluppando, poi, il proprio Know how nel web e nella gestione e utilizzo dei nuovi media. Da sempre il packaging e il design hanno rappresentato uno dei punti strategici della nostra azienda. Con l’intento di migliorare e velocizzare il processo produttivo di mock-up, all’inizio del 2017 abbiamo acquistato una macchina taglio laser Co2. Le informazioni ricevute da parte del rivenditore sulle normative ambientali ci hanno portato a richiedere a varie aziende il supporto e quindi poi l’acquisizione di macchinari in grado di risolvere il problema dell’abbattimento dei fumi e la qualità dell’ambiente lavorativo a salvaguardia dei nostri operatori. Il bene primario sono le persone e la tutela della salute. Dopo vari incontri e progetti attentamente analizzati, abbiamo scelto FTA come nostro partner nello sviluppo delle attrezzature idonee a risolvere il nostro problema. Abbiamo trovato competenza e attenzione verso le problematiche ambientali che ci hanno permesso di installare macchinari, non solo idonei, ma di grande efficienza di cui siamo pienamente soddisfatti. Dal progetto, dopo la verifica del luogo, alla realizzazione dell’impianto, sono trascorsi 45 giorni; un tempo che ci ha permesso di iniziare la nostra attività di prototipizzazione prima del previsto. FTA ci ha assistito nella documentazione da rilasciare all’ARPA ma soprattutto ci ha consigliato e guidato nell’acquisto di un modello, DP 800, che rientrasse nelle norme del decreto per l’industria 4.0, con grande beneficio economico evidente. Quanto mai incisivo il loro slogan “Rendiamo l’aria un bene migliore” …detto, fatto!